insights from industryRune BechCo-founder of Liva HealthcareAn interview with Rune Bech, co-founder of Liva Healthcare, conducted by Alina Shrourou, BSc. How prevalent is diabetes and why is it becoming more of an issue? Diabetes is exploding at the moment. We're going from roughly 380 million diabetic people in the world to around 600 million within the next 15 years. It’s a massive growth scenario and the problem with that is that it's a highly expensive and dreadful disease, so trying to help patients stop the progression of the disease, or even roll it back, seems like a win-win situation. It's also our aim to help patients save some money so they don't have to pay these traumatic expenses. What are the current barriers stopping diabetes patients from making lifestyle changes to improve their condition? It's quite a radical thing to change your lifestyle; habits are some of the most difficult things to break. Making lifestyle changes requires a strong backbone and support from other people, and sooner or later everyone hits a wall. It usually happens between three to six months down the road. It may be an incident that's making you sad; It can be something as primitive as a losing a pet, or it could be a family member passing away or becoming ill, or even a divorce etc. It just takes a small piece of gravel on the road to off-rail your attempts to change your lifestyle. Then you will sink back to the comfort of your old lifestyle, so a lot of mental surplus and backup is required to get through it. A lot of people will succeed in one, two or even three months, but then it becomes hard. Breaking through that plateau and taking it to the next level after three to six months is a really difficult thing. That's why sometimes you may need somebody that takes you to the next level. Even after 12 months, there's still a risk of falling back. At Liva, our experience is that the longer you keep going, the greater chance you have of making it part of your lifestyle. How do we know that lifestyle interventions can reverse Type 2 diabetes? A recent study published in the Journal of the American Medical Association looked at a group of diabetic patients and split them into two groups. One half received traditional diabetes treatment which consisted of drugs and a leaflet telling you how to eat and exercise, because eating and exercising is so important in preventing diabetes progression. The other half were given the traditional treatment plus a personal coach. This resulted in a reversed diagnosis in 56% of patients who were given a coach, and they were healthy enough to come off the drugs. 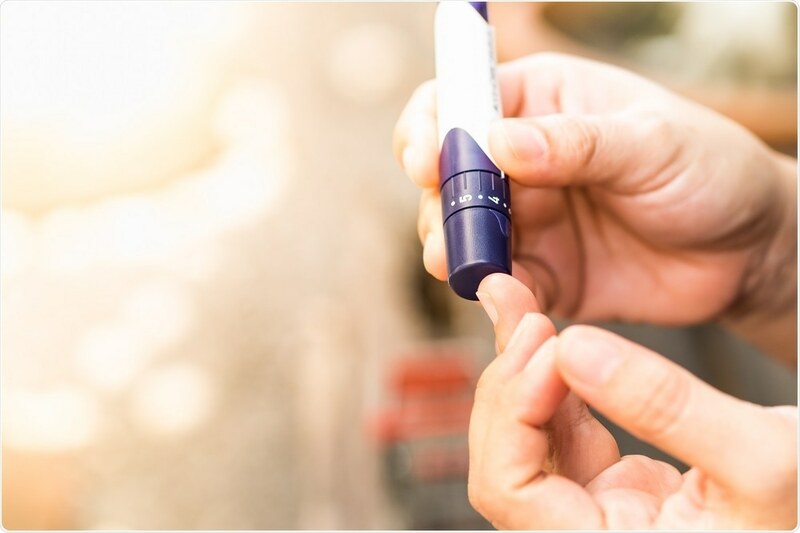 This is something that is referred to as a "U-Turn Study," – proving that Type 2 diabetes isn’t always chronic after all! What specific “lifestyle changes” were studied? The coaches were quite rigorous in what they asked from the patients. They were instructed to do 30 to 60 minutes of exercise a day, and had to follow the dietary plans that had been laid out. Please give an overview of the Liva Healthcare app. Liva Healthcare, is an innovative digital health coaching platform for scalable lifestyle and disease management. In the Liva digital healthcare app, a patient is given a healthcare professional coach to help them change their lifestyle or live with their disease. Here, the most important feature is the relationship between the coach and the patient, that can improve and potentially even reverse their medical condition. The coaches available on the app are a fine crossbreed, having an academic education which gives them high-level insight into health issues, but also have training in motivating people - working with people and changing lifestyles. Following coach allocation, an initial meeting between patient and coach is arranged for them to get to know each other. This first meeting is extremely important and is one of the ways we differ from other players in this field, in that we facilitate a personal relationship between the coach and the patient. Many other services currently available are algorithm-driven; basically, a robot spitting out messages and notifications. What we see is that patients very quickly tire of that, and don't want to communicate with an automated messaging system when they are trying to change some fundamental things in their life. Just as important as the coach, is the community that we build into the platform. A community of like-minded people in the same situation that act as mentors for each other. So usually, the coach will come by once-a-week, and while you only have a dialogue with the coaches weekly, you can converse with all the mentors and peers in the community in between. Please outline Liva Healthcare’s role in current research surrounding diabetes patients. 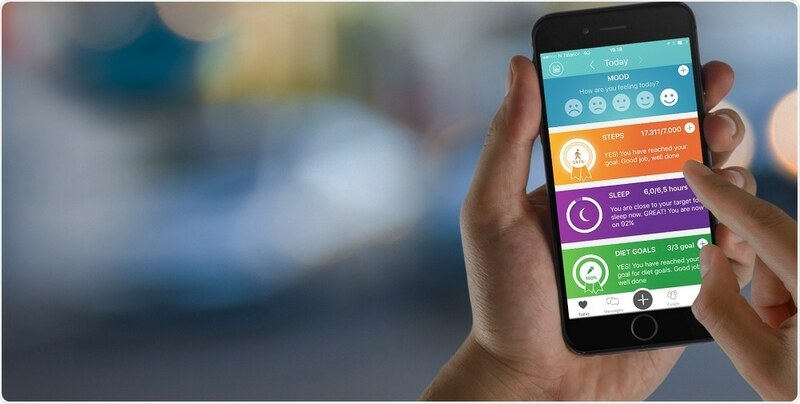 The NHS recently created the “Digital Diabetes Prevention Program” (DDPP) which aims to tackle the growing diabetes challenge. They invited a number of companies to win the task of running the program. 130 companies entered the process and were pre-qualified, but only five were left in the end - Liva being one of them. Right now, the NHS are testing these five companies and their solutions to see how they work, by checking on patients who are referred to each of the solutions after 12 months. They're basically trying to repeat the JAMA study, but this time with digital resources and 5000 patients instead of 100. The interesting part is that the five companies chosen by the NHS are not the same kind of solution. They have chosen different approaches to the challenge, and they are looking to test what the clinical outcomes are of this. Then they will choose which one to roll out nationwide. What is Liva Healthcare’s vision for sharing this research? We have a keen interest in sharing as much research as possible. The more potential clients of ours that see the results, the quicker we can start tackling the diabetes challenge. This is good for us, but better for the patients - a double-win! Can the app be used for any other medical conditions? We’re focussing on diabetes but the platform can be used for many different types of lifestyle issues. It's used with chronic heart and lung patients, patients with alcohol problems, and even people with mental disorders in some health authorities. There are a wide range of ways the platform can be applied. What impact do you think the findings will have on diabetes treatment? Well, we can see that when healthcare providers like the NHS (the largest healthcare organization in the world with 1.1 million employees) start taking an interest, that's going to have an impact and change things. All the healthcare providers and insurance companies around the world, private and public, see the massive challenge ahead. They all know it's going to be costly, but it’s inspiring to see the NHS’ efforts with a program attempting to stop the progression. It's impressive and we're proud and very happy to be delivering the technical platform that hopefully will be the foundation for this. It's early days yet. Patients have only been able to be referred onto the app since December 1st 2017, and we're not allowed to publish any results. But what I can say is that the patients are doing really well. Should digital platforms be integrated into all current healthcare systems? I think it absolutely should! Currently, we're working with the Danish health authorities to integrate the platform into their current care management systems. It's quite important that they can track data gathered from the digital platforms through their normal systems, so integration is something that we focus on a lot. How can healthcare professionals best use digital platforms to support patients? All healthcare professionals can benefit from using an online platform to stay in touch with their patients, not only for the Liva and Type 2 diabetes example, but for many different diseases and across many different settings. However, I cannot stress enough the importance of educating coaches. The platform is not better than the coaches manning it, and because we are facilitators of that personal relationship, if it doesn't work if the patient and healthcare professional don’t click or because the coaches are not educated in how to be motivating, then we have a problem. We’re doing a lot to expand on our educational practices and certify our coaches on how to be good coaches in the digital world. You may have been an excellent nurse by the bedside in a hospital, holding the hand of a recovering patient, but it's different to having an ongoing digital dialogue through video or text. Being good at one thing doesn't mean you're good at the other. Education is key to driving better outcomes, so we recommend that to all our clients, insurance companies or healthcare providers, public or private, take education seriously. We've built a pretty solid platform and included a lot of advanced features that make coaching easier, but education is crucial. What do you think the future holds for online healthcare? This is a wonderful question because we're only just seeing the tip of the iceberg, in terms of how we can apply digital solutions into healthcare. However, when I say that, I also want to emphasise that it's very important not to be too digital. What I mean by this is that you cannot and should not replace good healthcare professionals with IT. What you can do is make digital systems that will support them and make their work more efficient. Rune Bech co-founded Liva Healthcare in 2014. Based in Copenhagen and London. Liva Healthcare is an innovative digital health coaching platform for scalable lifestyle and disease management. It is designed to tackle chronic diseases through changes in lifestyle and behaviour. Rune is a serial entrepreneur having previously co-founded NetDoctor.com in 1998 as one of the European frontrunners in the internet revolution as well as SundhedsDoktor and E-Doktor. 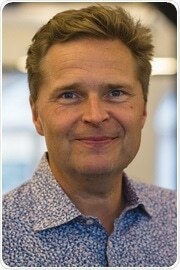 Rune is also the former digital officer of TV 2 Denmark and Saxo Bank.